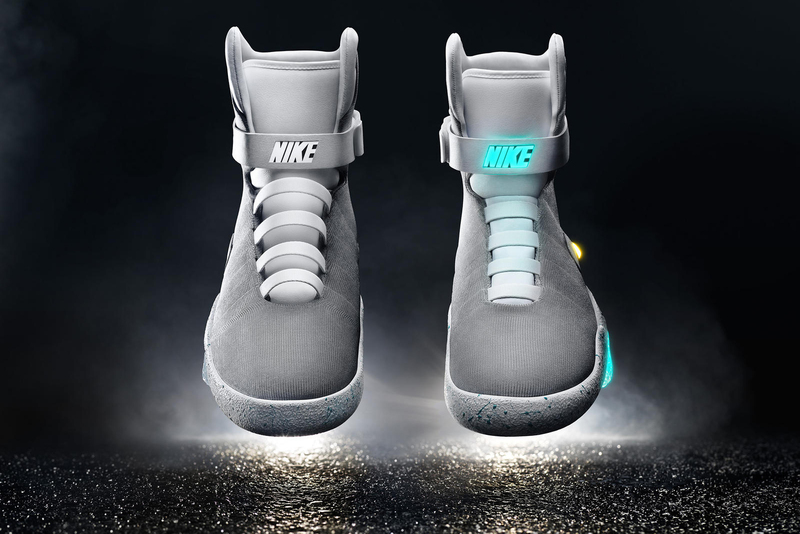 In what has been a monumental day of Back to the Future fans, the final piece of the puzzle has been placed — Nike has officially announced the Nike MAG with power laces. President and CEO of Nike Mark Parker writes about the epic shoe and the technology behind it; ““We started creating something for fiction and we turned it into fact, inventing a new technology that will benefit all athletes.” The sneaker, which mimics the original release in 2011 completely with all details in tact, will incorporate the new technology to assist in tightening the unremovable laces to the foot. The page explains further that testing is still continuing, for different sports in the pursuit of pure performance. The sneaker will officially release in spring of 2016 via auction with all proceeds going to the Michael J. Fox Foundation. Be sure to check out the working prototype in action owned by Michael J. Fox himself. Posted in HOME, menswear and tagged auction, backtothefuture, breaking, MAG, Nike, nikemag, october21, powerlaces, sneakers. Bookmark the permalink.